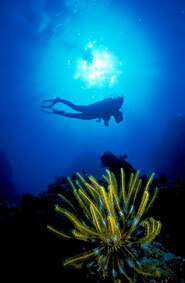 To obtain pricing for our dive packages, contact us by completing the form on the Contact Us page. We will contact you with all required information. 2015 Packages for divers start as low as $160.00 Australian dollars per day for 2 boat dives and lunch. Pay for 5 days and get the 6th for free. Full gear hire is available for those who need equipment at $40 AUD per day and individual equipment item prices on application. We supply Aqualung regulators, Seaquest BCD's, and Aladin dive computers. We offer a range of tours from WWII tours, bird tours, snorkeling, surf drops, and village tours. We generally cater each trip to an indvidual or a groups needs,therefore prices are given per person based on the trip you have designed, please email us for a listing of current tour options and prices. Thanks to our affiliation with World Hotel Link and the WHL Group, Dive Gizo is pleased to offer affordable budget travel insurance to give you peace of mind during your Solomons stay. Covered by this simple, inexpensive policy are essential medical, hospital, evacuation and other related costs travelers could potentially encounter during their time in the Solomons.The Voyageur Plan provided by Fidelity is an assistance plan that covers and assists travelers anywhere in the world outside the USA, Canada, Japan & Australia in the event of a sudden illness or accident during journeys outside their country of permanent residence. To link to the full policy details and learn more about the cover, terms and conditions of this offer, please click here. Dive Gizo is proud to support DAN Asia-Pacific (DAN AP). The Divers Alert Network (DAN) is a global network of not-for-profit, member-based, dive safety organisations working for the safety of all divers through education, research and training. DAN was involved in the evacuation of a paralysed diver from the Solomon Islands to Australia. The evacuation cost at the time was around AUD$90,000 (as an aircraft had to be sourced from far away). In addition, the treatment costs were in excess of US$30,000, plus on-going expenses. Full PADI training is available, including resort dives with our staff instructor, Fabien who looks after our students in Gizo. The PADI Open Water Course, generally takes four days to complete, but students can get some of the work completed at home by completing the PADI eLearning program. Courses start at just $680 AUD which includes, hire gear, 3 days on the boats, PADI Manual, Log Book, and certification fees (no hidden cost) There is no minimum for classes, and discounts given for multiple people. For those already certified, you may consider a PADI Nitrox course or Advanced Open Water Course. To schedule your class please email us at divegizo@solomon.com.sb, we offer many options to complete your course work early to ensure you have a relaxing holiday in Gizo.